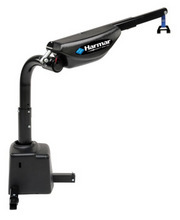 The AL425 is Harmars premier inside, boom-style lift, offering a 400 lbs. capacity. From its visually pleasing appearance to its highly adaptable design, the AL425 sets a new standard for inside lifts. Fully powered lifting and rotation, coupled with an optional wireless remote, make the AL425 the easiest to use and install inside lift in the industry. 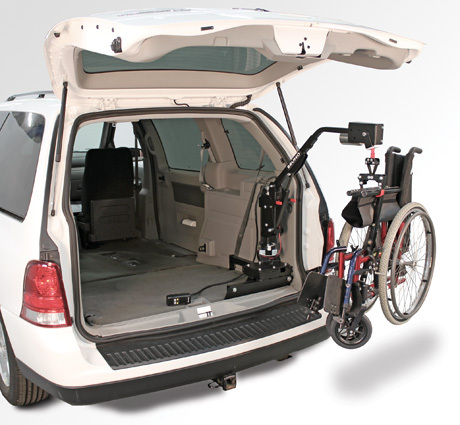 It is the ideal solution to stow a wheelchair or scooter inside a van, truck or SUV. Adjustable boom height: 30" - 42"
Please call us about current wheelchair/handicap van inventory.